in ​Myrtle Beach, South Carolina! Strange Magic Fishing Charters brings you the finest fishing experience on the Grand Strand. 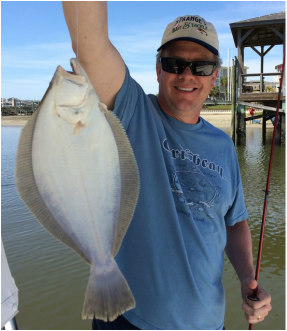 From inshore fishing for red drum (aka redfish), flounder or speckled trout - to working the inlet jetties for a wide variety of fish - we've got you covered! We offer half day or full day guided charters, for up to four passengers. We supply all licenses, rods, reels and bait, as well as bottled water and plenty of ice. Feel free to bring along your own beverages as well! Give us a call today at 843-274-1082 to book your charter or to see what's biting this week! ​"My family and I have been fishing with Capt. Bob for over 20 years now, and it's always something we look forward to. He knows these waters like the back of his hand, and what bait to use during all the different tides and weather conditions. 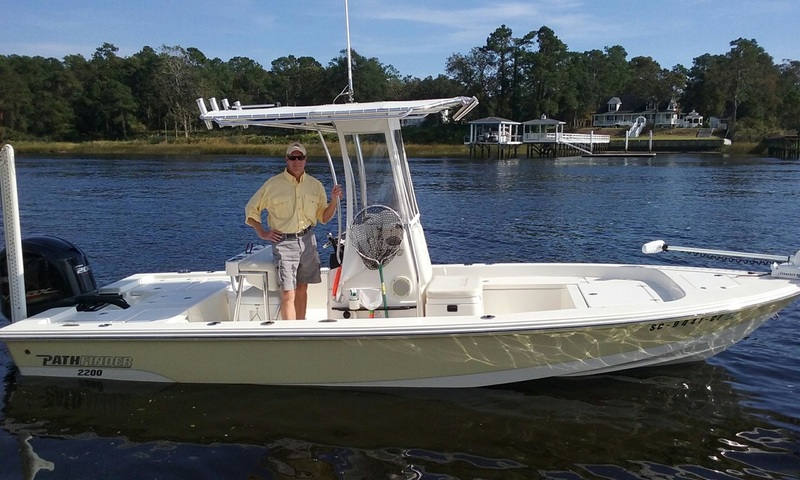 His boat and gear is absolutely immaculate, and our "good time" is his top priority." "It's always a pleasure to go out for a day with Capt. Bob. Our family has been vacationing in the Grand Strand for many years and I can honestly say that this is my favorite charter outfit. Capt Bob is always very punctual, friendly and helpful. He is a great fit for anybody from the most serious angler to someone who just wants to enjoy a day on the water. He gets my highest recommendation!" ​"I did not know much about fishing until I started going out with Captain Bob and Strange Magic Fishing Charters a number of years ago- and now I'm hooked! We have gone out in just about every season and Capt. Bob knows where and when to catch fish! There is nothing like bringing home a nice fat flounder or big meaty redfish and having it for dinner that same night. And even when the fish aren't biting, we're among some of the most beautiful natural habitat I've seen anywhere." 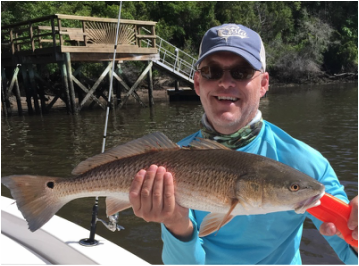 "Some of my fondest family memories center around fishing, and Captain Bob takes his responsibility as a charter captain very seriously, as well as his stewardship of the waterways of the Grand Strand. Give him a try - you'll be glad you did!"